Are you ready to give your career a boost? 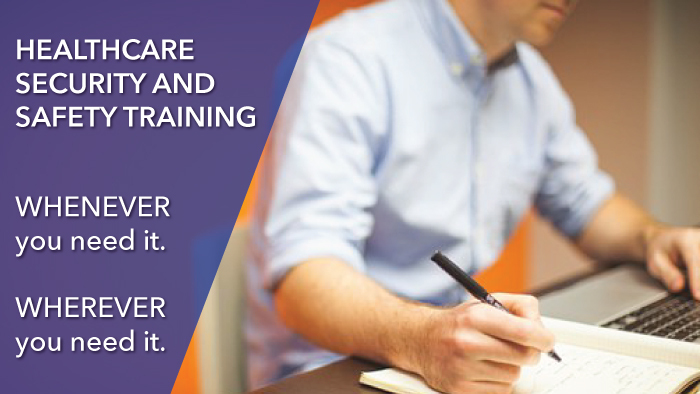 The NEW Advanced and Supervisor eLearning courses and certification exams are now available! The 2019 Annual Conference & Exhibition will be held in Orlando from May 19th - 22nd. Advanced and Supervisor eLearning courses now available! Click the image below to learn more about IAHSS' new Advanced and Supervisor eLearning courses. Purchase training manuals, certification exams, and products. View a list of IAHSS chapters with links to their individual group pages. IAHSS Industry Guidelines are intended to assist healthcare security and safety professionals in providing a safe, secure and welcoming environment. Learn about the IAHSS sponsors and the sponsorship opportunities that are available.